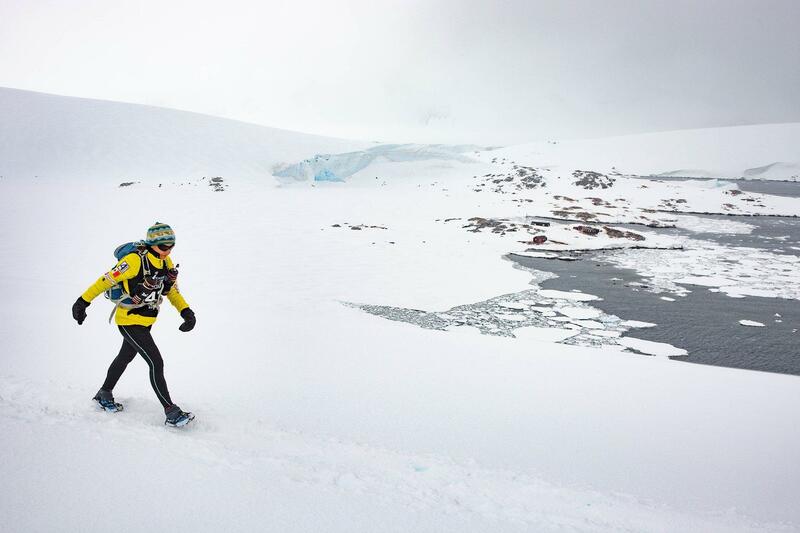 (e) the RacingThePlanet Ultramarathon, which is held at a different location each year. 2.2 You must read these Rules and Regulations carefully prior to registering for a Race. You may only register and enter the Race if you have read, understood and agreed with these Rules and Regulations. These Rules and Regulations represent a legally binding agreement between you and the 4 Deserts Ultramarathon Series, (referred to in these Rules and Regulations variously as the "4 Deserts Ultramarathon Series", "4 Deserts" "we", "us", and "our"). 2.3 Every competitor must sign a copy of these Rules and Regulations, together with the Assumption of Risk and Waiver and Release of Liability in relation to the Race, and Release, Waiver and Acknowledgement for Likeness and Intellectual Property in relation to the Race, before being allowed to start any of the Races. In addition, every competitor must complete and sign all of the Mandatory Forms, as specified by the 4 Deserts Ultramarathon Series, and provide all required information including, but not limited to, the competitor’s emergency contact information, insurance details, medical information and a medical certificate signed by a medical doctor. 2.4 The 4 Deserts Ultramarathon Series and our designated Race organisers ("Race Organisers") have complete discretion in applying these Rules and Regulations. These Rules and Regulations may be modified by the 4 Deserts Ultramarathon Series at any time without notice. The revised Rules and Regulations will be posted on the 4 Deserts Ultramarathon Series website https://www.4deserts.com (the "Website") as soon as reasonably practicable. The Rules and Regulations will be posted together with a list of time penalties that can be imposed and amended from time to time. Competitors will be solely responsible for familiarising themselves with the most up-to-date version of these Rules and Regulations of the Races at any given time. 3.1 The 4 Deserts Ultramarathon Series reserves the right, at its sole discretion and at any time, to refuse to allow you to enter into or participate in a Race, or to withdraw or cancel your offer of a place in a Race from you. The 4 Deserts Ultramarathon Series is under no obligation to provide you with any reason whatsoever for such refusal or withdrawal. The 4 Deserts Ultramarathon Series may also (but is under no obligation to) offer you a place in another Race in circumstances where entry into or participation in a Race has been refused. 3.2 You must be between the ages of 21 and 70 at the Race start date to compete in any one of the 4 Deserts Ultramarathon Series. You may request special permission to compete in a Race if you are under the age of 21 or over the age of 70. All requests will be assessed on an individual basis and the decision of the 4 Deserts Ultramarathon Series in this regard is final and binding. 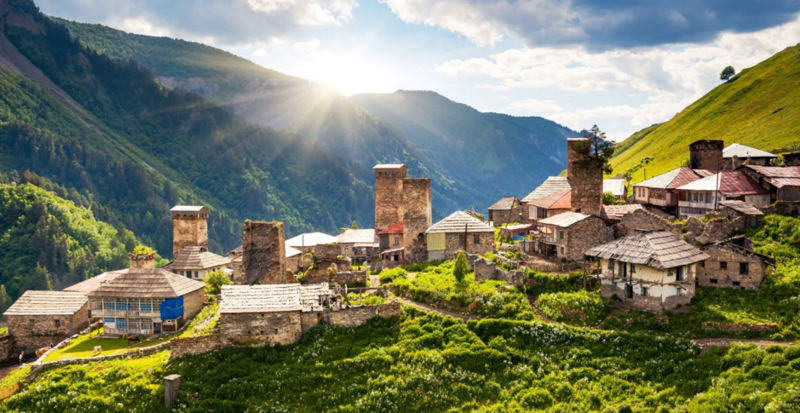 3.3 You acknowledge and agree that the Races take part in remote parts of the world where everyday facilities and comforts to which you may be accustomed are unlikely to be available. You are expected to possess outdoor survival skills such as familiarity with outdoor gear, backpacking and common sense. You are not required to possess any technical navigation skills to take part in the Races. 3.4 You acknowledge and agree that competing in the Races will be physically demanding, that you are aware of the nature of the Races, and that there are medical and physical risks associated with the Races. You are solely responsible for your own training and preparation for the Races. By applying to compete in a Race, you warrant that you are physically capable of competing in the Race. 3.5 You acknowledge and agree that endurance racing of the kind contemplated by the Races entails the real risk of serious injury or even death from various causes including equipment failure, dehydration, fatigue, collisions or incidents involving other competitors, spectators, other road users and / or vehicles, aspects of the course, weather conditions, natural disasters, flood, fire, injury, disease and other causes. 3.6 You acknowledge and agree that you are responsible for obtaining and taking all necessary inoculations and medications (and have taken them in accordance with your doctor’s instructions) relevant to the country in which the Race is held (the "Host Country"). You also acknowledge that it is your sole responsibility to carry your personal medications with you throughout the Race. 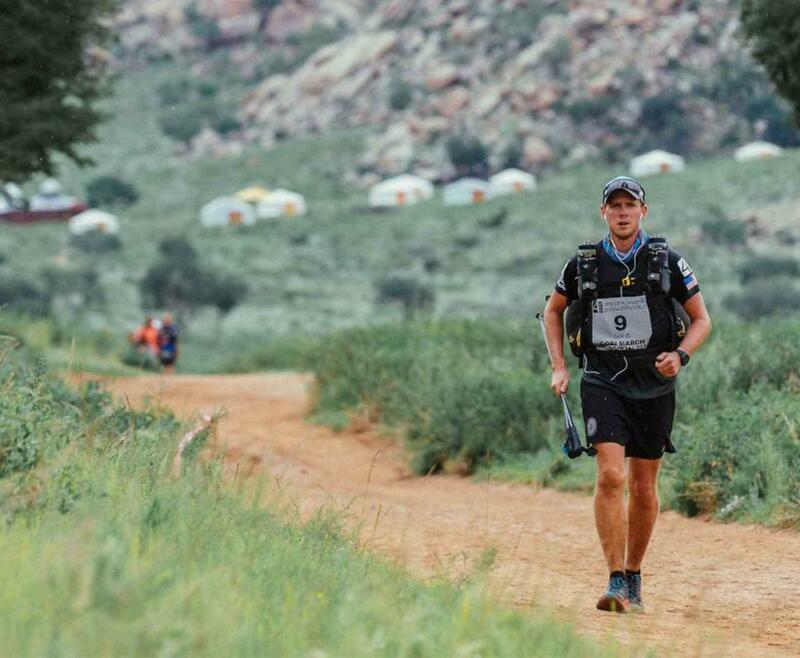 The 4 Deserts Ultramarathon Series medical staff will not be able to, nor will it be liable for failing to, supply personal medication during a Race should a competitor fail to carry his or her own. 3.7 You agree to inform the 4 Deserts Ultramarathon Series on application of any pre-existing illness from which you suffer that may affect your performance in a Race or for which medical treatment may be needed. In addition, you agree to inform the 4 Deserts Ultramarathon Series, both on application and thereafter, as the need arises, of all medications that you are currently taking or will be taking while you are participating in any Race. 3.8 The 4 Deserts Ultramarathon Series will provide professional medical support to competitors throughout the duration of the Races. You give permission to medical staff to make decisions concerning medical care and treatment and, where necessary, authorise such care and treatment in emergency situations. You understand that Race staff will make every reasonable effort, in the circumstances, to reach your emergency contact (if you have supplied one to us prior to the Race) regarding your medical status in the event an emergency arises. 3.9 You acknowledge that the Race operates in very remote areas of the Host Country which may not be supported by local hospitals, and that transportation to the nearest hospital may take several hours or longer. You further acknowledge that the course may pass through terrain where emergency evacuation may be seriously delayed or in some cases not available. 3.10 The 4 Deserts Ultramarathon Series and its Race Organisers reserve the right, with or without consultation of a doctor, to stop and use such force as is necessary to restrain you from starting or continuing a Race. 3.11 By agreeing to these Rules and Regulations and applying to compete in a Race, you affirm that you have the understanding and mental capacity to communicate health care directives for yourself and that you are fully informed and understand the full import of the consents given to by you to medical staff in this regard. 4.1 Any action of a competitor which results in either an unfair advantage to themselves or in an unfair disadvantage to another competitor will result in a penalty against the competitor involved in the action. 4.2 You must immediately and respectfully comply with any direction or decision of the 4 Deserts Ultramarathon Series, Race Organisers and the medical staff. Any failure to do so may result in disqualification or time penalties. 4.3 You must, at all times throughout the Race in which you are competing, abide by the Host Country laws, and behave in a respectful and considerate manner to local people, and to other people involved in the Race (including fellow competitors, Race Organisers, volunteers and medical staff). 4.4 You are solely responsible for your own conduct and behaviour, as well as for your own knowledge of and compliance with all applicable laws and regulations of the states or countries in which the Races are held. Neither the 4 Deserts Ultramarathon Series nor our designated Race Organisers will be responsible for your conduct or behaviour, or compliance (or non-compliance) with any of the laws or regulations of the states or countries in which the Races take place. 4.5 If you encounter anything of concern while on the course which could be a threat to the safety of another competitor or staff, it must become your priority to alert 4 Deserts Ultramarathon Series staff by getting to the nearest safe checkpoint and providing full details. This could include an obstacle on the course or an injured competitor. 4.6 Your behaviour throughout the Race must not prejudice the progress of the Race, or the safety or wellbeing of any other person involved in the Race (including fellow competitors, Race Organisers, volunteers and the medical staff). (g) have insurance which covers for full hospitalisation and emergency evacuation to your home country. 5.2 The 4 Deserts Ultramarathon Series reserves the right to withdraw the offer of a place in a Race to you and (if already received) not refund you the entry fee for the relevant Race if it does not receive the documentation specified in Rule 2 (c) to (g) above within 10 days of the start date of the Race. 5.3 You are solely responsible for obtaining and complying with all specific passport, visa and immigration requirements associated with travelling to and entering the Host Country and competing in the Race. You should check and confirm the relevant passport, visa and immigration requirements with the relevant consulate / embassy for the Host Country prior to completing the registration form. The 4 Deserts Ultramarathon Series does not accept any responsibility for, and will under no circumstances be liable (including, without limitation, providing a refund of the entry fee for the relevant Race), if you cannot travel to the Host Country for any reason including, without limitation, your failure to obtain a visa, or if you are otherwise unable to compete in the Race because of your non-compliance with any passport, visa or other immigration requirements. 6.1 You agree that entry to a Race is granted to competitors on a non-changeable, non-transferable basis. 6.2 You may withdraw from the Race at any time, subject to the following provisions of this Rule. 6.3 If you withdraw more than 120 days before the start date of a Race (Gobi March, Atacama Crossing, Namib Race, and the RacingThePlanet Ultramarathon only) you will receive a refund of the entry fee for the relevant Race, less US$600. Note that entry fees for The Last Desert are non-refundable. 6.4 If you withdraw from a Race less than 120 days before the start date, the 4 Deserts Ultramarathon Series will not be liable to refund you any portion of the entry fee for the relevant Race, or otherwise pay you any sum whatsoever. 6.5 The 4 Deserts Ultramarathon Series reserves the right to withdraw the offer of a place in the Race to you for any reason and at any time. In such circumstances, we will provide you with a full refund of the entry fee for the relevant Race. (e) cancel the Race after it has started. 6.7 If we modify the Race in accordance with Rule 6 (a), (b), (c), (d) or (e), we will have no obligation to reimburse you the entry fee for the Race. 6.8 If we change the dates of the Race in accordance with Rule (b), we will have no obligation to reimburse you the entry fee for the Race provided that we reschedule the Race to commence on another date within 6 months before or 12 months after the date on which the Race was originally scheduled to commence, and provided that we give you reasonable notice of the new dates for the Race (which will in any case not be less than two months). 6.9 Except as set out in Rule 6.8 above, the 4 Deserts Ultramarathon Series will not have any liability to you for the rescheduling of any Race. 6.10 The 4 Deserts Ultramarathon Series is not responsible for any other costs relating to 6 (a), (b), (c), (d) or (e) above. This includes, but is not limited to, flights, hotels, insurance, visa etc. 6.11 If you withdraw from the Race at any point after starting, you will not be allowed to re-start any further stage of the Race. 6.12 If you require IV fluids at any time during the Race you will not be allowed to continue in the race and will not be eligible for a Finisher’s medal. 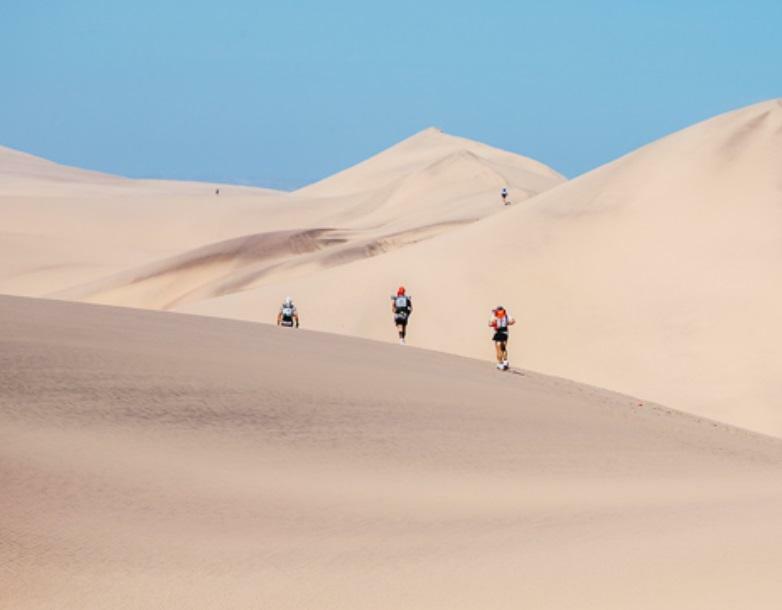 7.1 To the full extent permitted by law, the 4 Deserts Ultramarathon Series is under no liability (whether in negligence or otherwise) to you for any Claim or Loss in connection with a Race. 7.2 Notwithstanding Rule 7.1, to the full extent permitted by law, maximum liability (whether in negligence or otherwise) to you for any Claim or Loss in connection with the Race will not exceed the Entry Fee for the Race. 7.3 Under no circumstance is the 4 Deserts Ultramarathon Series liable to you for any Loss, including indirect or consequential loss, however it arises. (a) "Claim" means any claim, allegation, cause of action, proceeding, Liability, suit or demand made against the person concerned, however it arises, and whether it is present or future, fixed or unascertained, actual or contingent. (b) "Liability" means any liability or obligation, however it arises, and whether it is present or future, fixed or unascertained, actual or contingent, including any liability for loss such as loss of profit, loss of revenue or loss of opportunity. 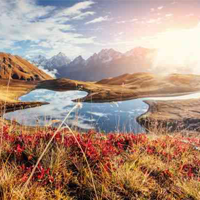 (iv) any other loss or damage suffered or incurred by you arising out of or in connection with competing in a Race (including, without limitation, travelling to the Host Country and Host Town / City). 8.1 You must take out and maintain your own insurance for any risks associated with the Race, including personal travel insurance which covers you for the duration of your time in the Host Country. This must cover you fully against the costs of hospitalisation, medical care and repatriation if you were not able to continue the Race, including the cost of air or other forms of evacuation and / or repatriation should sickness or injury necessitate such a course of action. 8.2 The 4 Deserts Ultramarathon Series has no control over, and accepts no responsibility for, the availability or standard of medical and / or repatriation services and facilities in the areas in which the Races take place, and such services and facilities do not form any part of the contract between you and the 4 Deserts Ultramarathon Series. 8.3 You are solely responsible for your own equipment and belongings during the Race and bear the sole responsibility for incidental or accidental damage (including wear and tear) to, or loss of, your own equipment and belongings. We recommend that you take out adequate insurance to cover your equipment and belongings. 9.1 The 4 Deserts Ultramarathon Series and the Race Organisers reserve the right to add, modify, cancel or change the course at any time. 9.2 While competing in a Race, you must stay on the marked course. If you inadvertently leave the marked course, you must re-enter the course at the exact place where you left it. If you intentionally cut or leave the marked course (as we or the Race Organisers may determine at our sole discretion), you may be disqualified or be given a time penalty. 9.3 If you leave a logical or obvious course or direction between course markings, you will be deemed to have intentionally left the marked course. Where two course markers are visible, you must go to the closest marker. If a logical or obvious route is evident and both visible markers are distant marks (i.e., one that is evidently not the next mark in sequence) you must proceed on the logical route. Unless directed to do so by a course marking, cutting switchbacks on paved or dirt courses is considered intentional course cutting. 9.4 The course may be changed by the 4 Deserts Ultramarathon Series or Race Organisers for any reason including, but not limited to, weather, safety hazards or darkness and we may, at our absolute discretion, adjust stage finish times to reflect any course changes. 9.5 Mandatory stops may be issued at any time due to climate, weather conditions or other factors. You must stay at the checkpoint indicated as a mandatory stop for the full time indicated. Failure to do so will result in a time penalty. 9.6 Staggered starts may be issued for any stage of a Race. You will be notified of staggered starts before the beginning of the relevant stage of a Race. Any request to begin a stage of a Race at a start time other than the one assigned to you must be approved by the Event Director or the Medical Director. 9.7 Under no circumstances may you sleep alongside any part of the course. 9.8 The course will be marked by signs, arrows, ribbons, chalk, paint, lights, flags and other devices. 9.9 The course will be marked with devices at intervals of between 25 and 100 meters depending on terrain and visibility. If you do not see a marker for 100 meters and you are not on the obvious or logical course, you must immediately return to the last known marker to find the correct course. 9.10 Two or more course markers placed together indicate an abrupt change in course direction. Multiple markings will be placed so that they can easily be seen while following the intended course. Markings will be placed between foot and head height, and may be placed on the ground, trees, bushes, walls, buildings or other stationary objects. 9.11 The course will be marked by lights and other illuminated marking devices at night. You are required to carry a light that is sufficient to find unlit markers in the event that lights and other illuminating devices are covered, fail or go missing. 9.12 Course markings will generally be visible under normal lighting conditions. Abnormal conditions may include sand, dust, mist, fog, smoke, rain, snow or any other condition that reduces visibility (other than darkness). If abnormal lighting conditions occur, a stage of a Race may be modified, delayed or cancelled until normal visibility conditions return. 9.13 The 4 Deserts Ultramarathon Series and the Race Organisers will make every effort to keep the course markers in place for the duration of a stage of a Race. However, it is possible that markers may be taken, buried, blown over, covered, destroyed or otherwise rendered difficult or impossible to find. It is your responsibility to pay attention to the makings and to make intelligent decisions when following the course, or to remain where you are in a safe location at the last course marker you saw. 9.14 You are responsible for (a) staying on the course; (b) slowing down to pay attention to the course markings or the absence of course markings; and (c) waiting at the last course marker seen if you cannot see the next one. 9.15 If you are using a GPS, you must follow the marked course. You may not travel directly between checkpoints unless the course markers take that route. Cutting the course is against these Rules as they could be dangerous or lead to dead ends or impassable terrain. Cutting the course will result in disqualification or a time penalty being issued. 9.16 If you remove or change the location or direction of course markings, you will be disqualified. If the offending competitor is part of a team, the whole team will be disqualified. 9.17 At approximately every 10 kilometers / 6 miles along the course there is a checkpoint where staff, volunteers, a medical doctor, water and shelter are available to competitors. 9.18 All checkpoints must be completed in the designated sequence. Missing a checkpoint will result in the individual or team being disqualified unless they backtrack to the missed checkpoint. The individual or team must then proceed from the first missed checkpoint back through all checkpoints as per the mandatory sequence (even if the individual or team has passed through that checkpoint before). 9.19 You must not spend more than 15 minutes at a checkpoint unless approval is given by a member of the medical staff. 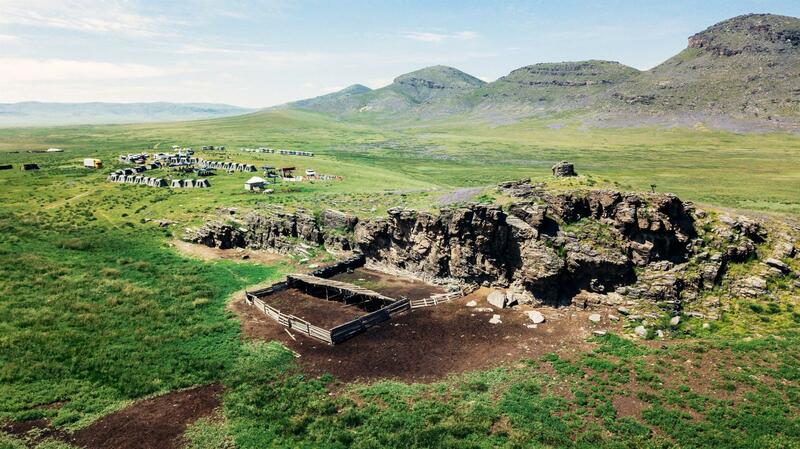 9.20 During the Long March, several tents will be erected at a selected checkpoint called the ‘Overnight Checkpoint’. You may only sleep at a designated ‘Overnight Checkpoint’ or risk disqualification. Hot water may, if reasonably practicable, be provided at the Overnight Checkpoint. You should, however, be prepared to eat without having access to hot water. (d) Competitors must sleep in their assigned tent and should not enter any other tents except the Cybertent and Medical Tent (within opening hours). This includes other competitor tents, staff tents, media tents, HQ tents or any other tents at the campsite. 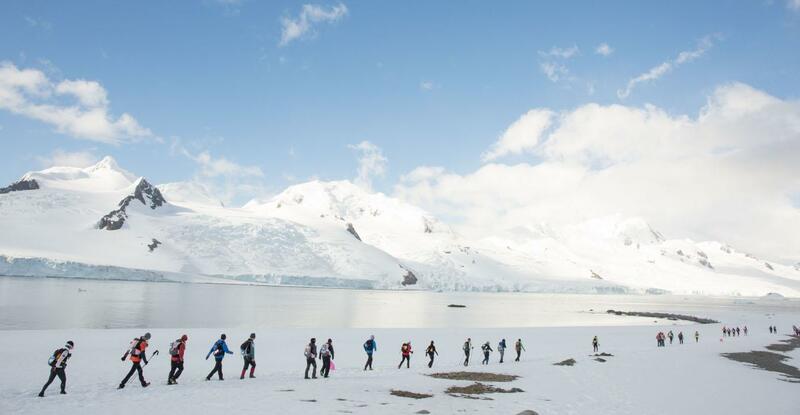 11.1 The Races take place in some of the most remote and pristine areas of the world. It is therefore imperative that we leave no trace. The Rules of this minimum-impact policy apply to everyone associated with the Race including competitors, staff, volunteers, film crews, press and sponsors. 11.2 Absolutely no litter of any kind including, for example, water bottles, caps from water bottles, energy bar wrappers or toilet paper shall be left on the course or in the tents. If you are found to have littered the course you will be heavily penalised or disqualified. All litter is to be carried to the closest checkpoint or campsite for disposal in the litter bins provided. 11.3 If you encounter plant foliage, do not step on it. Do not pick flowers, cut walking sticks from or otherwise damage the vegetation. Do not light any fires along the course (camp fires will be provided in the campsites). If there are unique rock formations, do not touch, disturb or deface the rocks. If you encounter any unique rocks, ancient ruins or fossils, do not remove them from their location. 11.4 Where the Race involves a campsite, basic camping techniques shall be employed. Leave no trace at your campsite. 11.5 When at a campsite, you must use the toilet facilities provided. When out on the course, you must be at least 100 meters from a checkpoint, campsite, the course, residential home, or ancient ruin. All human waste must be buried between 20 and 25 cm below the surface, toilet paper must be placed in a toilet paper bag (provided) and carried to the next checkpoint or campsite to be disposed of. 12.1 Teams are made up of a minimum of three or more individuals of any gender. Each team must designate a team captain and a team name. 12.2 Any action against a competitor who is part of a team will apply to the entire team. This includes, but is not limited to, a time penalty and disqualification. 12.3 Team members must never be out of sight of each other, or alternatively have a distance greater than 25 meters separating the first team member from the last team member, whichever distance is the shorter, while on the course. Team members must go through the start line, all checkpoints and finish line together. 12.4 If a team member withdraws or is disqualified and this leaves the remainder of the team with less than three people then this will result in disqualification of the remainder of the team from the Team Category of the Race. 12.5 If a team is disqualified then each remaining member of the team can still continue in the Race in the individual category. If a team has more than three team members then they can continue to compete in the team category as long as at least three of the original team members remain. 12.6 The 4 Deserts Ultramarathon Series or the Race Organisers may impose a time penalty on any competitor if, at their sole discretion, they determine that an unfair advantage will result from members of a team becoming individuals. 12.7 See Rules 16.8, 16.9 and 16.10 for details on Team Scoring. 13.1 Competitors must wear, at all times, a shirt with patches in compliance with the instructions by the 4 Deserts Ultramarathon Series. Failure to do so will result in the competitor being held where the offence was discovered until it is corrected, or in disqualification. This includes the 4 Deserts or RacingThePlanet patches, and patches of a nationality flag no smaller than 5 x 8 cm (2 x 3 inches) on each sleeve of all your tops (shirts, jackets etc.) at all times. Any incorrect patch placement, including of nationality flags, will result in a time penalty. 13.2 Sleeveless tops are not allowed. 13.3 The 4 Deserts Ultramarathon Series may have sponsors for a Race. You will not be allowed to have your own sponsors that conflict with the 4 Deserts Ultramarathon Series sponsors. You are not allowed to wear any personal sponsor badges, advertising or other patches on your shirt or jacket sleeves. 13.4 You must wear the Race bib on your chest or stomach where it must be fully visible throughout the entire Race. The Race bib must always be positioned over any clothing or front pack. You must not fix your Race bib onto your leg. The Race bib must not be folded or hidden at any time. A time penalty will be imposed for any incorrectly placed bib. 13.5 A large race patch or second bib, whichever is provided by the 4 Deserts Ultramarathon Series, must be attached to the back of your backpack and be clearly visible at all times. Failure to do so will result in a time penalty. 13.6 The male and female competitor who is in the overall lead after all of the previous stages shall be presented with the Yellow Bib to wear for the next stage. The Yellow Bib must be worn during the entire next stage. It is an honour to wear the Yellow Bib and strict compliance with this Rule must be observed. 14.1 Every competitor must, at a minimum and at all times, carry the equipment on the Mandatory Equipment List posted from time to time on the Website. You will be solely responsible for familiarising yourself with the most up-to-date requirements of the Mandatory Equipment List. 14.2 You must carry your own equipment and belongings. No other competitor may carry any of your equipment or belongings for you, including a teammate. 14.3 You must supply your own food and drink mixes for the entire Race. Competitors must start with at least the minimum number of calories stated in the mandatory equipment list (2,000 calories per day, or 14,000 calories for the entire Race). The 4 Deserts Ultramarathon Series or the Race Organisers may, at their sole direction, check a competitor’s food supply at any time to ensure that the proper amount of calories remain for the duration of the Race. The medical staff will have the final decision as to whether the calories carried are sufficient for an individual competitor. 14.4 Consumption of alcohol or drugs during a Race from arrival at Camp 1 until crossing the final finish line is prohibited. 14.5 Different gear requirements apply for each Race depending on expected terrain and weather conditions. You will be personally advised of these requirements by the 4 Deserts Ultramarathon Series prior to the Race. 14.6 It is your responsibility to ensure that your equipment is fit for purpose prior to the start date of the Race. Competitors may be subject to random equipment checks by the 4 Deserts Ultramarathon Series or Race Organisers at any time. If any item of equipment as specified on the Mandatory Equipment List is found to be missing, a time penalty will be issued for each item missing or you may not be allowed to continue the Race. If the Race Organisers consider that you have insufficient equipment to complete the Race, or if it is determined that you are carrying a food supply with an insufficient amount of calories, they shall have the right to exclude you from the Race. If you are excluded from the Race under the provisions of this Rule, no refunds will be given and the 4 Deserts Ultramarathon Series will not be responsible for any resulting costs, including costs of repatriation. 14.7 You must wear a flashing red light after sundown. The red light must remain pinned to the rear of each competitor’s backpack at all times until sunrise while on the course. This red light must be worn in addition to the headlamp and backup light source as specified in the Mandatory Equipment List. 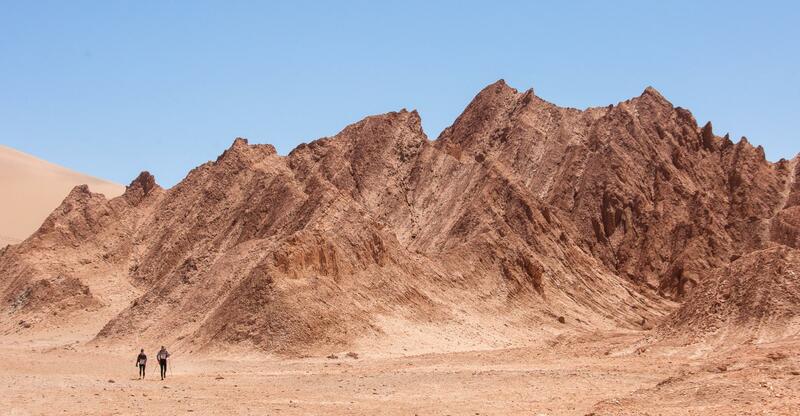 15.1 The 4 Deserts Ultramarathon Series will supply a ration of water at each checkpoint. Water supplied is to be used for drinking only. Any intentional breach of this Rule 15.1 will result in a time penalty. 15.2 In addition, hot water for preparing food will be supplied at all campsites and a designated checkpoint on the Long March on the course. 16.1 Race headquarters will keep the official time clock for the Race, beginning when each stage starts and stopping when each competitor crosses the finishing line of each stage. 16.2 The winning competitor will be the competitor with the lowest combined times of the stages after taking into account any time penalties. 16.3 Cut-off times will be established daily. If competitors fail to reach and depart designated points by the specified cut-off time, they will not be allowed to continue the Race, and will not be eligible for a Finisher’s medal. Initial cut-off times will be announced before the stage starts. Initial cut-off times may be modified, and additional cut-off times may be added, during the Race at the sole discretion of the 4 Deserts Ultramarathon Series. 16.4 Special timing may be used for The Last Desert, depending on weather conditions. For example, the winning time may be based on total distance covered, or on time. If timing is based on the total distance covered, the competitor with the most distance covered will be deemed the winner. If timing is based on time, the competitor who has covered the most distance in the least amount of time will be deemed the winner. 16.5 Subject to any special timing used for The Last Desert in accordance with Rule 16.4, the first individual to cover the six stages in the shortest accumulated time is the winner. 16.6 Competitors will be ranked according to their cumulative time for each Stage. Competitors who started in the team category will be eligible for individual ranking if their team does not complete the Race (i.e. if one or more of their teammates withdraws or is disqualified from the Race). 16.7 Age rankings are based on the competitor’s age on the day the Race starts. For example, if the Race begins on 15 June and you are 29 years of age, and you have a birthday on the 16 June, you will be deemed to be 29 for the duration of the Race, and will be classified in the age group for a 29-year-old. 16.8 The first team to cover all six stages of a Race in the shortest accumulated time is the winner. All other teams will be ranked according to their finishing time. Teams can only be ranked if at least three of the original team members have completed all six stages of a Race. 16.9 Team results are based on time of the last member of the team to cross the finish line of each stage. 16.10 Members of a team who finish as a team are not eligible for ranking in the individual category. However, team members are eligible for the age-group awards. 17.1 The official language of the 4 Deserts Ultramarathon Series is English. You are solely responsible for reading and understanding all official Race signs, directions and oral instructions given by the 4 Deserts Ultramarathon Series, the Race Organisers and medical staff. 18.1 Protests (including, without limitation, disqualification, time penalties, time recordings and the conduct of other competitors) must be filed with the Event Director within 30 minutes of crossing the finish of the relevant stage of the Race. Protests must be made discretely and respectfully. 18.2 Any public protest or display of disgust concerning the 4 Deserts Ultramarathon Series or a Race Organiser, the contents of the Rules and Regulations, or their application, will result in severe time penalties being imposed, or in disqualification of the protesting competitor. 18.3 The procedure for deciding the outcome of any protest will be determined by the Event Director and all decisions of the Event Director shall be final and binding. 18.4 Any protest that the Event Director, at his or her sole discretion, considers to be made in bad faith or in retaliation for a previous protest will result in a time penalty being imposed on the protesting competitor. (c) further hereby waive any moral rights you may have in respect of any use, reproduction, modification, publication or broadcast of your name, image, appearance or likeness. 19.2 You are prohibited from using: (a) any personal video cameras during the Races, whether as part of a cell phone, small camera or other device; and (b) wireless handheld internet devices and devices capable of external transmission which are not allowed during a Race. Mobile phones may be carried for use in an Emergency situation only. Be aware that there is no mobile phone reception on many parts of the Race course. 19.3 All content from photographs, official blogs, emails, promotional materials and other materials distributed by the 4 Deserts Ultramarathon Series is the exclusive property of the 4 Deserts Ultramarathon Series and must not be copied or distributed without the express written approval of the 4 Deserts Ultramarathon Series. 19.4 If the 4 Deserts Ultramarathon Series considers that any video, in any form whatsoever, was captured during a Race in contravention of Rule 19.2, the footage will be taken by the 4 Deserts Ultramarathon Series and the competitor to whom the video is attributable may be disqualified from the Race. 19.5 You are permitted to take still-shot cameras to take photographs for personal use only. Any commercial use of such photographs is prohibited. 19.6 The 4 Deserts Ultramarathon Series may be using wireless Internet access at checkpoints and / or the campsite to ensure communications and live website coverage. You are not allowed to use the wireless Internet access. Laptop computers may be provided to you for sending blogs, emails, and other electronic communications. No access to any Internet sites is available during a Race. 19.7 You may use your own power sources to charge your personal mobile electronic devices. You may not, under any circumstances, use any of the power sources utilised by the Race Organisers or volunteers to operate the Race, to charge your personal mobile devices. Any violation of this Rule will result in a time penalty being imposed on you or disqualification from the Race. 20.1 Only competitors who have completed at least two of the Gobi March, the Atacama Crossing and the Sahara / Namib Race will qualify to compete in The Last Desert. 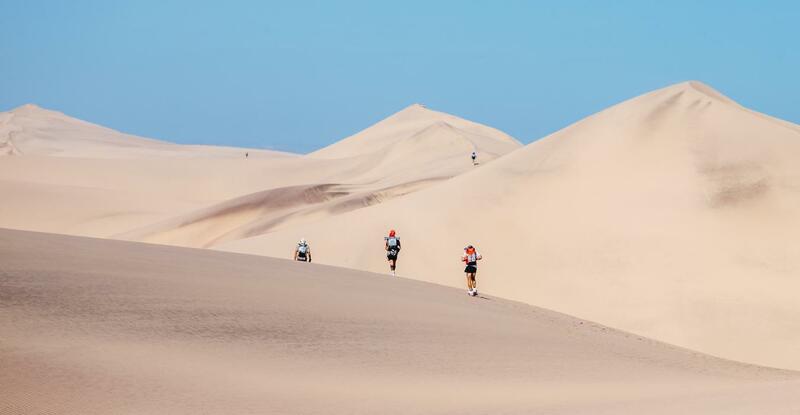 20.2 Invitations are issued at the sole direction of the 4 Deserts Ultramarathon Series. Poor sportsmanship in any Race may preclude a person from receiving an invitation. 20.3 The 4 Deserts Ultramarathon Series will aim to send invitations to individuals who qualify for The Last Desert, and who the 4 Deserts Ultramarathon Series considers suitable to compete in The Last Desert, approximately 18 months before the next edition of the Race, or one month after qualification if this is within one year of the Race. 20.4 Qualification for The Last Desert is valid for any future edition of The Last Desert provided the 4 Deserts Ultramarathon Series considers the competitor suitable to take part. 20.5 The Last Desert is general held every two years, however the 4 Deserts Ultramarathon Series shall, at its sole discretion, decide when The Last Desert Race shall be held depending on the number of individuals who qualify. The 4 Deserts Ultramarathon Series shall be under no obligation to hold The Last Desert Race every year or every two years. 21.2 Teams are only eligible to win the 4 Deserts Champion (Overall) award if they have completed the Gobi March, Atacama Crossing, Sahara / Namib Race and The Last Desert as a team with the same team members. 21.3 Individuals who successfully complete all of the 4 Deserts will be eligible to be designated a 4 Deserts Club Member. 21.4 The 4 Deserts Champion is awarded following the completion of The Last Desert. Only competitors who complete The Last Desert as their last 4 Deserts Race are eligible to be crowned the 4 Deserts Champion. 21.5 The 4 Deserts Champion is determined by adding the cumulative rankings of all Races completed and by assigning a value to those rankings. For example, a first place ranking in the Gobi March would receive a score of one (1), a second place ranking in the Atacama Crossing would receive a score of two (2), a tenth place ranking in the Namib Race would receive a score of ten (10) and a third place ranking in The Last Desert would receive a score of three (3) for a cumulative score of sixteen (16). If that competitor has the lowest total score among competitors in The Last Desert, he or she will be crowned the 4 Deserts Champion for that year. 21.6 If, before completing The Last Desert, a competitor has completed any of the other 4 Deserts Races more than once, their best ranking will be used to determine the overall ranking. 22.1 You acknowledge and agree that by taking part in the Race you shall not rely on, and shall have no remedy in respect of, any statement, representation, warranty, understanding, promise or assurance (whether negligently or innocently made) of any person other than as expressly set out in these Rules and Regulations. 22.2 If any provision of these Rules and Regulations is to be held to be unlawful, void, or for any reason unenforceable, then such provision shall be deemed severable from these Rules and Regulations, shall be enforced to the fullest extent allowed by law, and shall not affect the validity and enforceability of any remaining Rules and Regulations. 22.3 No waiver or amendment by the 4 Deserts Ultramarathon Series or by you of these Rules and Regulations shall be effective unless in writing and signed by both by you and a representative of the 4 Deserts Ultramarathon Series. (e) the Mandatory Forms as specified by the 4 Deserts Ultramarathon Series on the Website (including, but not limited to, the emergency contact details, insurance details, specified medical clearance forms and a medical certificate signed by your doctor). 22.5 A copy of the Rules and Regulations, Assumption of Risk and Waiver and Release of Liability in relation to the Race, Waiver and Acknowledgement for Likeness and Intellectual Property in relation to the Race, Application Form for the Race and Mandatory Forms as specified by the 4 Deserts Ultramarathon Series on the Website (including, but not limited to, the specified medical clearance forms) are available from the 4 Deserts Ultramarathon Series upon request. 22.6 Any dispute or claim arising out of or in connection with these Rules and Regulations, or the subject matter or formation (including non-contractual disputes or claims), shall be governed and construed in accordance with the laws of the British Virgin Islands. Each party submits to the non-exclusive jurisdiction of the British Virgin Islands. 22.7 In applying to compete in a Race, you hereby consent to the 4 Deserts Ultramarathon Series using all personal information collected from or about you in connection with the Race (including information collected by the Race Organisers) for the organisation, operation, administration and promotion of the Race. You further consent to your personal information being provided to others assisting the 4 Deserts Ultramarathon Series in connection with the Race. You may contact the 4 Deserts Ultramarathon Series at info@4deserts.com to request access to any of the personal information collected by us that relates to you. 23.1 The Rules and Regulations are in place to ensure a safe, fair and environmentally sound Race. Penalties will be issued if any of the Rules and Regulations are broken, in particular those listed below. Any action of a competitor which results in either an unfair advantage to the acting parties or in an unfair disadvantage to another competitor will result in a penalty against the competitor involved in the action. Read the Rules and Regulations and click 'I Agree' to proceed with your registration. You can also go the Rules and Regulations to view these.